The month of May really could prove to be a big one for the sport of boxing this year. We have the hugely fascinating Canelo/Danny Jacobs showdown, while rival heavyweight champions Deontay Wilder and Tyson Fury could both fight in May (though not against each other, disappointingly). And it has now been confirmed how 130 pound warriors Miguel Berchelt and Francisco Vargas will fight their return in May, on the 11th. ESPN.com broke the news and all that is needed is official confirmation of the venue. Absolutely a can’t-miss action fight, the Berchelt/Vargas return was originally set for March, but Berchelt injured his hand in training. Thankfully, this guaranteed great fight is back on. The two engaged in a savage and ludicrously entertaining battle back in January of 2017, with Berchelt managing to rip the WBC 130 pound crown from an unbeaten Vargas via eleventh-round stoppage. Now, with the 27 year old champ having made four title retentions, Berchelt will be looking to repeat his win. And fight fans who saw the first classic fight will be hoping to witness another slice of epic violence. Vargas, the older man by a considerable margin at 34, has won two in a row since losing his belt and unbeaten record but it’s fair to say the odds are against Vargas being able to avenge his loss. Still, both men took chunks out of one another in the first war, with both men having plenty of success, so nothing can be ruled out in the return. Whoever wins the sequel in May will have earned his money, that’s for sure. Berchelt, 35-1(31) is a fantastic fighter, one who should be a bigger star/name than he currently is. Having given us at least three special slugfests already, Berchelt is one of the most consistently exciting lower-weight fighters today. Vargas, if he has enough left, could well force Berchelt to give his all yet again. Vargas, 25-1-2(18) is, as all Mexican fighters are, proud and determined, and he wants revenge. The first brutal encounter was extremely close on the cards at the time of Berchelt’s thrilling stoppage, and for as long as the rematch lasts, the action promises to be just as intense. Who knows, if Vargas can turn the tables on his countryman, these two superb fighters could end up engaging in a rubber-match; which would yet more great news for fight fans. 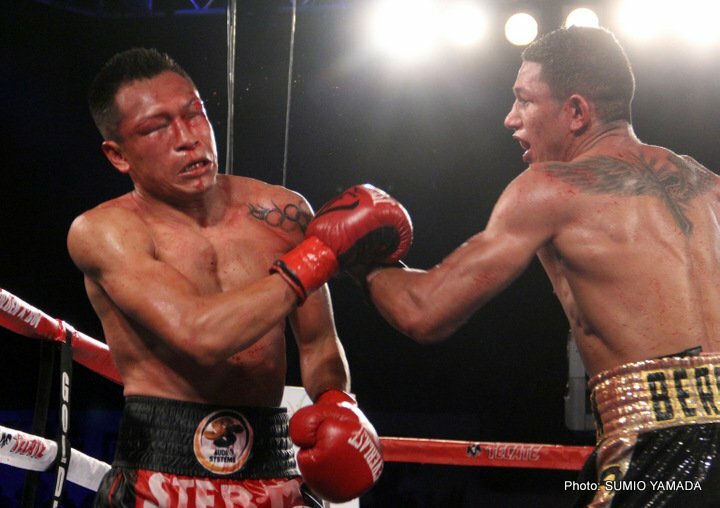 Berchelt/Vargas II could turn out to be The Fight of The Month in May; maybe even The Fight of The Year.